Holiday parties are not complete without centerpieces. There are gazillion ways to decorate your table! Here are a few home made “wallet friendly” centrepieces that are simple and easy to make. You need not spend $$ searching for perfect centerpiece. You can use things from your fridge, garage or even from your backyard to decorate your party table and bring in the holiday cheer! 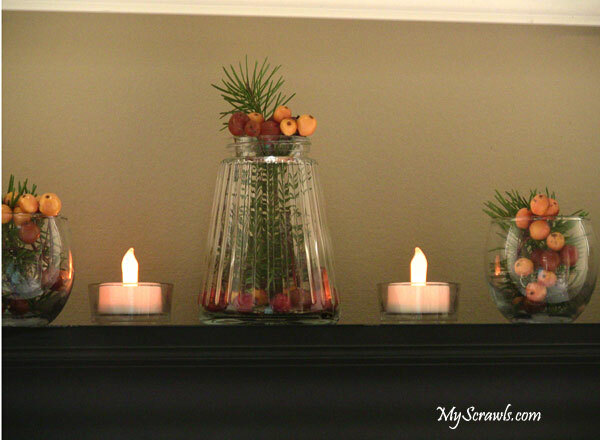 Nature inspired centerpiece: How about bringing the berries and pine needles on your table/fireplace mantle? Deck up your table with the simple finds from your backyard! 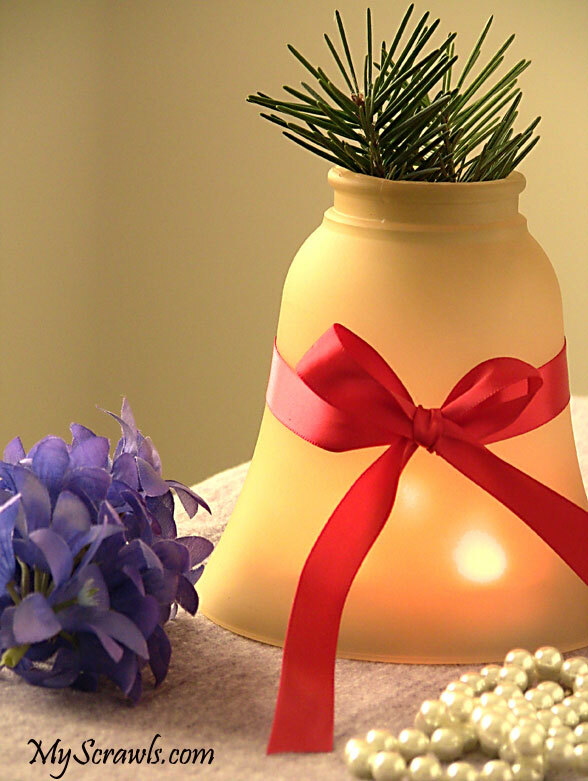 Arrange them in glass jars, candle holders or recyclable metal tins. 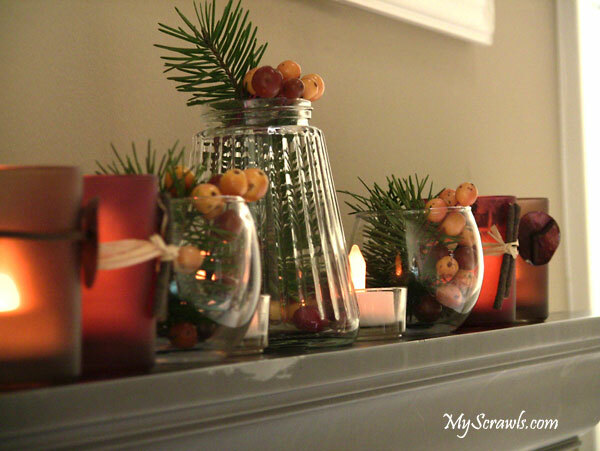 The jar in the middle is my “oil dispenser” that I have transformed as my classic mantle decor! Do you have old/used lanters? Just clean them up and use them as candle holders. 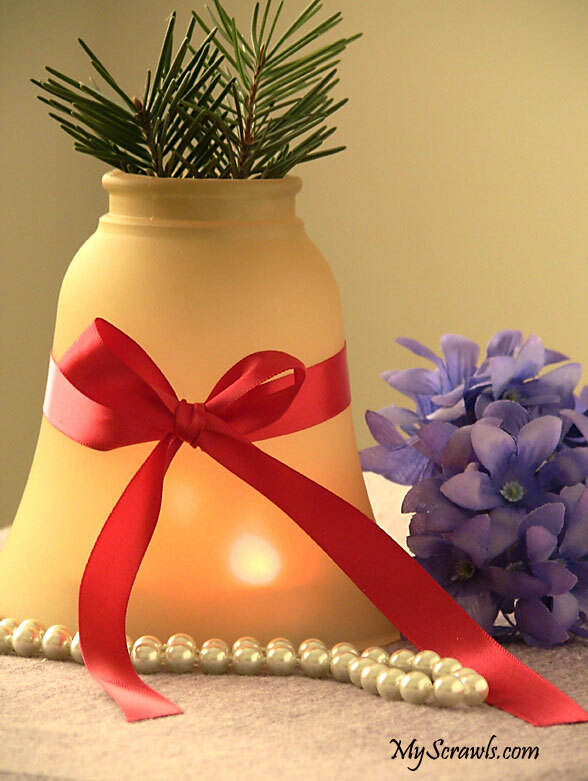 Dig your garage/store, you may find wonderful ideas for DIY centerpieces. Pomanders: How could we forget the aromatic pomanders?! 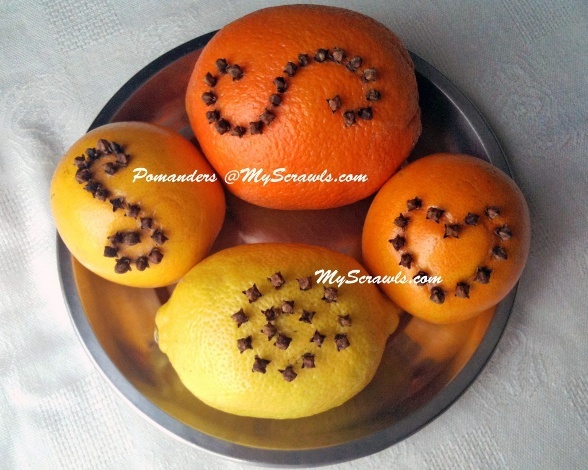 Pomanders are oranges decorated with cloves. The smoothing smell of cloves and orange brings in festive mood! I have blogged about pomanders here. Click on the picture below to read more about pomanders. 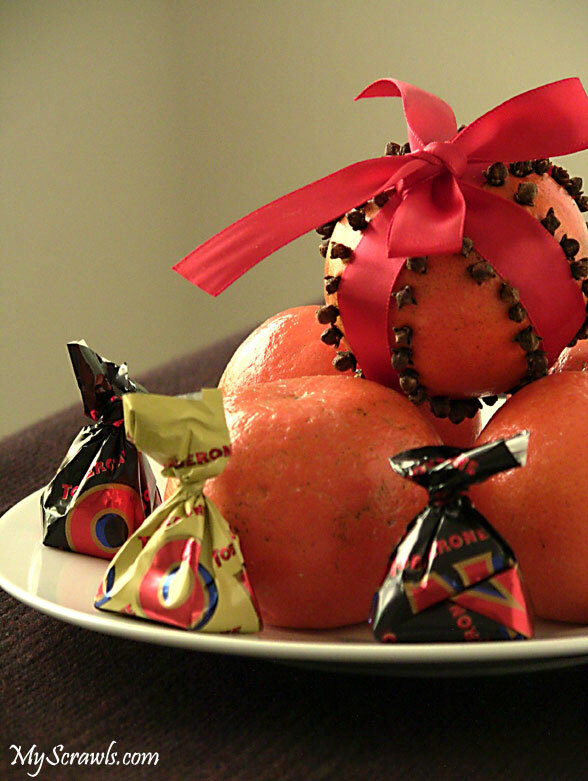 Here is my Pomander Chocolate centerpiece! 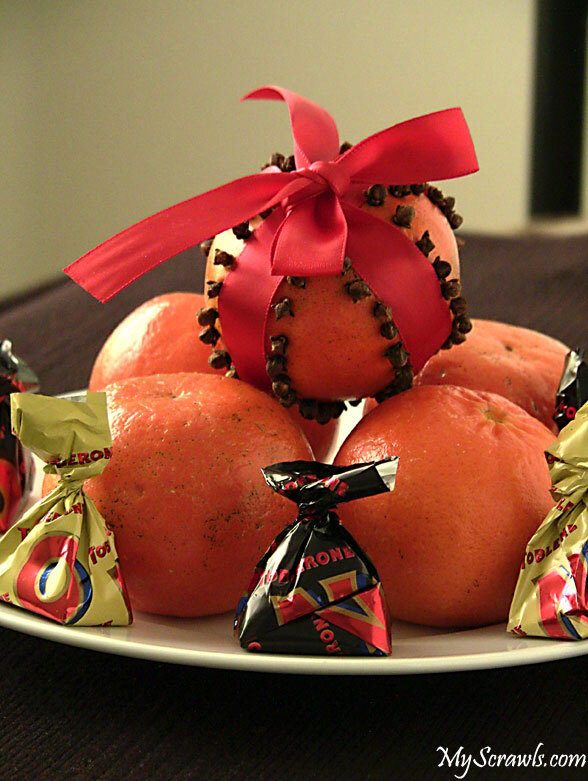 Tie pomanders with red (festive color) ribbons and voilà your aromatic centerpiece is ready!